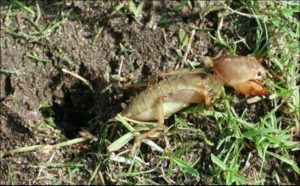 These critters will ruin the lawn and if not treated, will burrow deeper and deeper into the soil, making it more difficult to treat them. 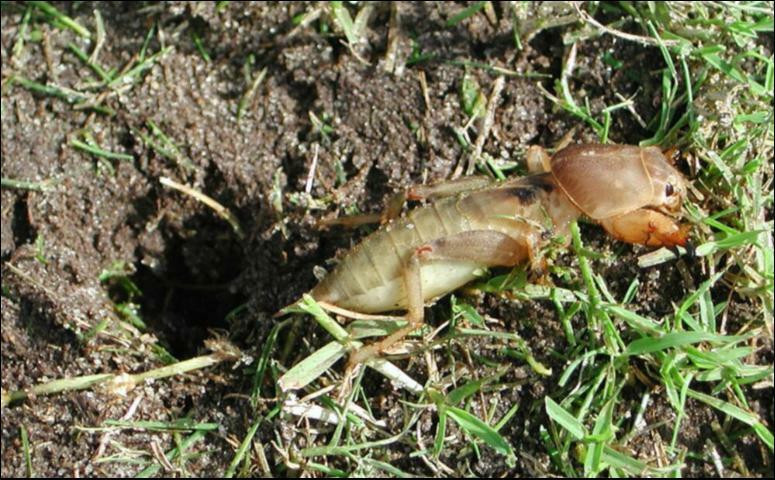 Mole crickets are destructive pests on lawns. A contact /systemic insecticide drench should be directed toward young nymphs. Treatments must commence from October to early April, on the more vulnerable nymphs. This is more effective than later treatments on larger mole crickets. Visit your local GCA garden centre for advice on the best insecticide for you!